Ehrman, chair of religious studies at UNC-Chapel Hill, has written widely on the subject of early Christian documents and the formation of the biblical canon. 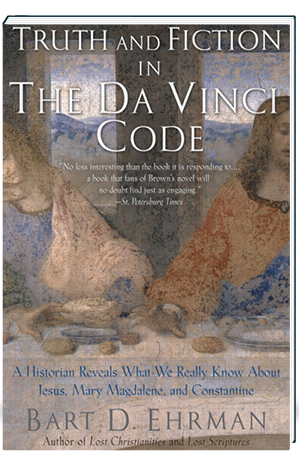 While acknowledging that Dan Brown’s The Da Vinci Code is an exciting mystery novel, Ehrman questions some of its historical claims. 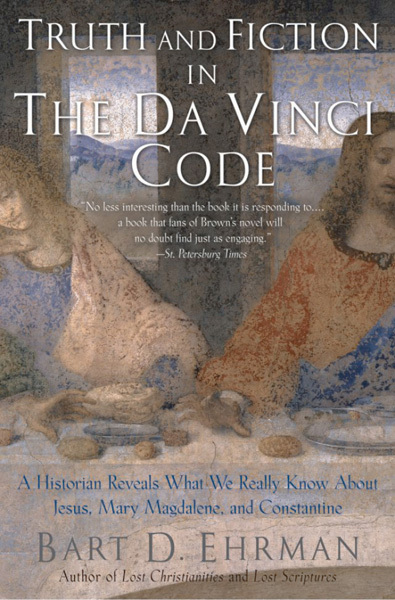 Focusing on 10 areas of concern, including the role Constantine played in the formation of the both the church and the Bible and the evidence for Jesus’ personal involvement with Mary Magdalene, Ehrman reviews the historical record and demonstrates that Brown’s history behind the mystery is seriously flawed. Ehrman is not concerned with theology; he has no interest beyond that of the professional historian who wants to arm the everyday reader with sound research and helpful historical perspective. His is a documentary approach, avoiding speculation and theory. This tone distinguishes the book from many other responses to Brown’s novel that uphold a particular theological agenda. Ultimately, Ehrman believes that readers should not try to learn history from speculative fiction. This is a very readable treatment of some difficult themes, such as the reasons for the exclusion of some early gospels from the canon and the enormous influence of recent archeological discoveries. Readers at every level will appreciate this book. Copyright © Reed Business Information, a division of Reed Elsevier Inc. All rights reserved.